AA.VV., Information Warfare 2012. Armi cibernetiche e processo decisionale, a cura di Umberto Gori e Serena Lisi, FrancoAngeli, Milano, 2013. Clancy Tom, Net Force, Necto Partners, 1998, trad. it. a cura di Michele Foschini, Rizzoli, Milano, 2010. Floridi Luciano, Information. A Very Short Introduction, trad.it. La rivoluzione dell’informazione, a cura di Massimo Durante, Codice Edizioni, Torino, 2012. Lévy Pierre, Qu’est-ce que le virtuel?, 1995, trad. it. Il virtuale, a cura di Maria Colò e Maddalena Di Sopra, Raffaello Cortina Editore, Milano, 1997. Valeriani Augusto, Twitter factor. Come i nuovi media cambiano la politica internazionale, laterza, Roma-Bari, 2011. Deibert, R., J. Palfrey, R. Rohozinski en J. Zittrain (2008, eds.) Access denied: The practice and policy of global internet filtering, Cambridge (Mass. ): MIT Press. Albright D., Brannan P., "The New National Intelligence Estimate on Iran: A Step in the Right Direction", Isis Report, Washington, March, 2012. Keohane R.O., Nye Jr J.S., "Power and Interdependence in the Information Age", Foreign Affairs, Vol. 77, No. 5 September-October1998, pp. 81-94. Krepinevich Andrew F., "Cavalry to Computer: The Pattern of Military Revolutions", The National Interest, No. 37, Fall 1994. Libicki Martin C., "Cyberspace Is Not a Warfighting Domain", I/S: A Journal of Law and Policy for the Information Society, pp. 321-336. Lynn III W.J., "Defending a New Domain", Foreign Affairs, September 2010. Peterson S., "Downed US drone: How Iran caught the 'beast'", The Christian Science Monitor, December, 2011. Rid Thomas, Mc Burney Peter, "Cyber Weapons", in Rusi Journal, February/March 2012, vol. 157, n. 1, pp.6- 13. Stewart P., Wolf J., "Agent.btz Worm Won't Die After 2008 Attack On Military", Reuters, June, 2011. Saporito Laura, Lewis James A., "Cyber Incidents Attributed to China", Center for Strategic and International Studies, Washington, 2012. Louise Arimatsu, "A Treaty for Governing Cyber-Weapons: Potential Benefits and Practical Limitations", NATO CCD COE Publications, Tallinn, 2012. Rendina Federico, "Le nanotecnologie al servizio dei soldati del futuro", Il Sole24ore, 15 Febbraio 2010. Waxman Matthew C., "Self-defensive Force against Cyber Attacks: Legal, Strategic and Political Dimensions", Volume 89, U.S. Naval War College, 2013. Carter Jerry, Taylor Fred, "Cyberspace Superiority: An Analysis of the Department of Defense’s Ability to Achieve Superiority in Cyberspace", Harvard University, 2011. Meyers David, "Why did President Obama destroy plausible deniability on cyber warfare? ", The Daily Caller, 06/11/2012. Barzashka Ivanka, "Are Cyber-Weapons Effective? ", The RUSI Journal, 158:2, pp. 48-56, April 2013. AIV (2014) "The Internet. A Global Free Space With Limited State Control", The Hague: Advisory Council on International Affairs. Broeders, D. (2015) "The public core of the internet. An international agenda for internet governance". Amsterdam: Amsterdam University Press. Chander, A. and U. Le (2015) ‘Breaking the Web: Data localization vs. the global internet’, Emory Law Journal. Vol. 64: 677-730. DeNardis, L. (2012) ‘Hidden levers of internet control. An infrastructure-based theory of internet governance’, Information, Communication and Society, 15 (5): 720-738. DeNardis, L. (2013) "Internet points of control as global governance", CIGI Internet Governance Papers nr. 2 (August 2013). DeNardis, L. (2014) "The global war for internet governance", New Haven: Yale University Press. Dunn Cavelty, M. (2012) ‘The militarisation of cyberspace: Why less may be better’, pp. 141-153 in C. Czossceck, R. Ottis en K. Ziolkowski (eds.) 2012 4th International Conference on Cyber Conflict, Tallinn: NATO CCDCOE Publications. 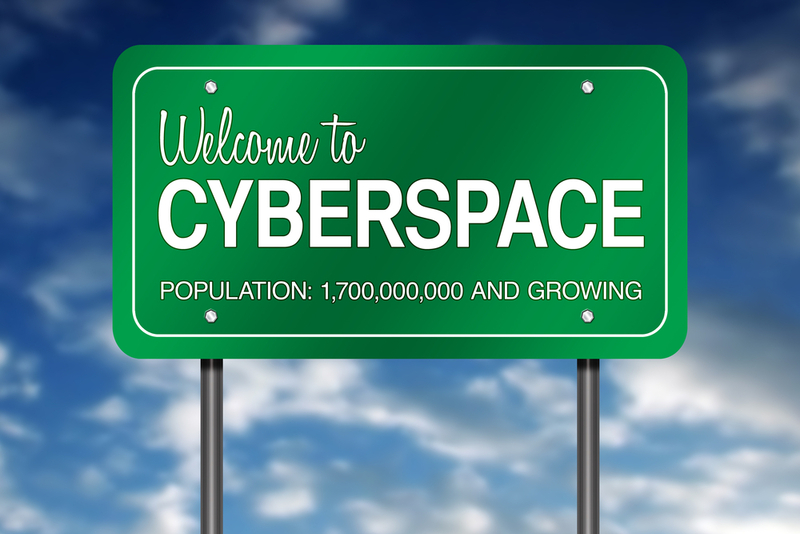 We have about 150 other documents, articles and essays on cyberspace to recommend to you! Click here to immediately send an email and receive our complete bibliography.